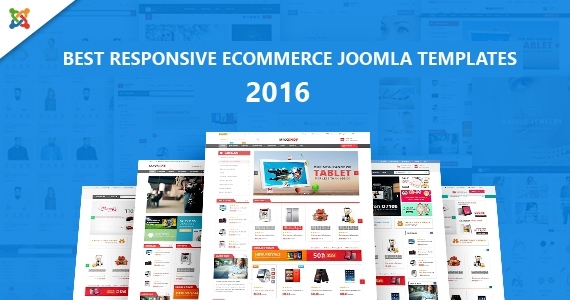 In this post, we've collected best responsive eCommerce Joomla templates 2016 to help you save time to build any eCommerce websites selling any kind of goods, no matter how much coding knowledge do you have or what your business is. Maxshop is built with VirtueMart 3 component and integrated with YT Shortcode plugin with 65 shortcodes built-in, so it comes with dozen of advanced features that make it really easy to use and customize. Besides, Maxshop supports 5 unique homepage layouts and 5 color variations for user choosing. Beside, Maxshop supports RTL Language and includes other features like Mega Menu, VirtueMart Category Search, Product Compare, Products Wishlist, Multi-Currencies, Multi-Languages, Newsletter Function and much more features…. Structure is a responsive joomla template for building service company such as construction, engineering, architecture website. Base on the needs of construction website, Structure brings the professional and clear design for your website. Structure has a fresh design and it is optimized for SEO. With profiles feature, you can create unlimited profiles with different styles for each page of your site. So it can have own style like colors, background, font and much more. Not like other Joomla eCommerce Templates, SJ Shoppystore is not outstanding by its functioning features. It also is a stunning responsive Joomla template built with Bootstrap 3 and powered by VirtueMart component. The template is ideal for any kind of shopping store from clothes to electronics stores. Moreover, SJ ShoppyStore is available with 3+ homepage layouts and 5 color variations that bring great options for using. Besides, the template based on YT Framework v3 and latest web design techniques: HTML5, LESSCSS.... It comes with a dozen of functional extensions and trendy features: Mega Menu, Countdown Timer, Product Quick View, RTL language, 65+ useful Shortcodes built-in, boxed layout. Its name can tell all we know about this Joomla template, it serves any online bookstore or stationery shop. If you need such a template like it, Bookstore is really a perfect solution to sell physical products or ebooks. It comes with 5 different homepage layouts and 9 trending colors. With latest Joomla version, Bootstrap 3.x, J2store Joomla Shopping Cart integration, and Google merchant center app integration are the premium reasons why should you go for Bookstore. If you are interested, you are welcome to try a demo. One of the most Joomla eCommerce Template in this top rank is SJ Market. It supports 4 different homepage layouts which are easy to switch. Besides, the template also supports 4 layout styles: Wide, Boxed, Framed and Rounded layouts in which, you can easily customize the background image and change settings. In addition, the template comes with 4 different homepage layouts which surely adapt all your needs of an eCommerce website. It is built with new web technologies: Bootstrap 3, Awesome Google Font, LESS, CSS3, HTML5 that makes it more powerful and flexible. Vina Greek is a Fashion VirtueMart 3 Template with a modern and responsive design optimized for desktops, tablets, and smartphones. This template combines the best elements of e-commerce and news sites for an impressive new idea for promoting your business. Let's create an amazing store for your business with Vina Greek. Not only standing out in design, Vina Greek also impressed users by its features and functions. The most powerful and trendy features, including Mega Menu; Ajax Products Filter; Ajax VirtueMart Category Search; Virtuemart Product Compare; VirtueMart Products Wishlist; VirtueMart One Page Checkout; Akeeba Backup and much more features…. If SJ Shoppystore looks like modern and fashion trending, BuyShop is one of the worth-own-template for an online store which is a multi-purpose theme and powered by Virtuemart. Not only support html5, bootstrap 3.x, it is also ready with Retina including icon fonts. Quickview, Slider, Countdown are provided in this template. Create an online Shopping store within minutes and start selling online with Avendor – Responsive Joomla eCommerce Template, which will help you jump start your business and sell online. Avendor supports Kunena Forum and shortcodes built-in, so you can easily customize your site as the way you want. Melleh is simple, modern and impressive Joomla template. It's well prepared and optimized to fit for any kind of shop demographics. This template will also give you a great portfolio option to work with and it's very powerful for your business. In addition, it includes Mega Menu for controlling categories effectively, really useful for business with integrated shop page. This template is an ideal choice if you would like to introduce your shop to everyone. Henry Shop is a Responsive Joomla Template which helps you create a professional online shop in an intuitive way. By using their own Framework, your template will display perfectly across all devices and screen sizes Especially, Henry Shop also uses Virtuemart component which helps you freely show all your products in a clean way. Is your favorite Joomla Template in this list above? What other ones would you recommend? Please share with us by leaving your comment below.